The remaining staff at the JTI tobacco factory in County Antrim are to get an extra five months of work as the closure of the plant has been delayed. The final 60 staff were due to leave the Ballymena factory in May but will now be kept on until October, the Ballymena Guardian reports. In October 2014, JTI said it would be closing the plant with the loss of 800 jobs. Most staff left in 2016. 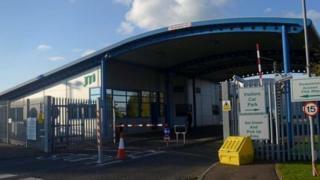 JTI disclosed the new closure date in a letter to North Antrim MP Ian Paisley. The company also said the Wrightbus group will take control of the site on 1 December. The bus manufacturer agreed to buy the 100-acre site last year.